Every day after 12:Midnight it’s the most-listened-to overnight radio show hosted weeknights by George Noory and by guest hosts on weekends. Listeners are captivated with discussions on news and current events, conspiracy theories, UFO’s, life after death, and all things curious and unexplained. News doesn’t stop overnight. Weekdays from 5:06 to 5:30, John Trout hosts a recap of news, weather, sports, business news and markets, and light-hearted stories that don’t make the routine newscasts. It’s the latest in overnight developments delivered first thing in the morning. John also hosts a Saturday morning edition from 7:20 to 7:45 called “America This Week” with the best of that week’s feature stories. Six mornings a week – Monday through Friday 5:35 to 6:00 and Saturday 6:15-6:40 – the “RFD” show looks at ag news, markets, analysis, and weather. RFD Radio Network’s in-depth coverage includes conversations with news makers in Agriculture, analysis of the markets, national and international issues and trends that affect the LaSalle County farmer presented in a fast-paced, hard-hitting style, but very friendly with the listener. Weekday mornings from 10:00 to 11:45 hosted by Maggie Frost. Bringing you the latest from around your community. Every day something different–that’s why it’s The Morning Mix! The Noon hour starts with a summary of local and state news from the award-winning WCMY Newsroom, Sean Frey’s latest sports report, and Accu-Weather’s forecast for the rest of the day. Then, it’s a detailed look at Agriculture from the two premiere farm radio networks: Brownfield and RFD. Ag News, markets and analysis, and commentary are organized for a fast-paced, informative noontime. An often-humorous collection of hot takes on the day’s top trending stories. The 4 p.m. hour starts with a summary of local and state news from the award-winning WCMY Newsroom, Sean Frey’s latest sports report, and Accu-Weather’s forecast for the rest of the day. Then, it’s a detailed look at Agriculture from the two premiere farm radio networks: Brownfield and RFD. Ag News, markets and analysis, and commentary are organized for a fast-paced, informative hour. An innovation in the audio sphere. No politics, no opinions, just stories. They tell a story and the audience tells us their stories—LIVE, with raw emotional power. Daily bringing the campfire scene to your ears. 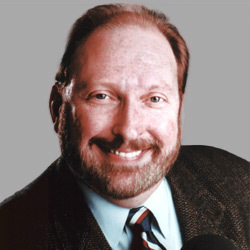 Jim Bohannon describes himself as a “militant moderate” delivering his wit, wisdom and natural charm to listeners across the nation. The Jim Bohannon Show brings listeners a unique blend of breaking news, interesting features and informative reports on a spectrum of topics. Bohannon also talks to special guests and his loyal callers live, offering humor and compassion. Every day after 12:Midnight it’s the most-listended-to overnight radio show hosted weeknights by George Noory and by guest hosts on weekends. Listeners are captivated with discussions on news and current events, conspiracy theories, UFO’s, life after death, and all things curious and unexplained. An hour packed full of local news, sports, AccuWeather, the Saturday edition of RFD Illinois, a weekly market recap, Hoofbeats, Managing For Profit, and more. The full weekend report of local news follows CBS News on-the-hour, obituaries, sports, and the Accu-Weather forecast. With over thirty years of home improvement know how, and over a decade of broadcast experience, Gary will help you build it up, tear it down, fix it, or replace it. At Home With Gary Sullivan is heard on nearly 100 stations. RMWorldTravel Connection with married travel commentators Robert & Mary Carey and journalist Rudy Maxa is America’s #1 Radio Travel Radio Show. Robert, Mary and Rudy easily connect with the audience and skillfully cover the world of travel, culture and its allure through modern segments, on-location broadcasts and more. The program offers unmatched experiences, unique insight and unparalleled understanding into travel, trade, tourism and the dozens of related industries they support. Leo Laporte The Tech Guy entertains audiences nationwide. From computers, the internet, iPods, and cell phones to digital cameras, gaming systems and home theatres…Leo provides entertaining tech talk that appeals to the inner geek in all of us! Money guru Jill Schlesinger helps you take control of your financial life and better understand all-things-money. Jill Schlesinger is the Editor-at-large for CBS Moneywatch.com. She owned and operated an investment management firm for 14 years and is a certified financial planner. She served those with millions of dollars and those who were taking their first steps to get there. After retiring from regular appearances on Coast to Coast AM in July of 2007, Art Bell continues his association with the program he created and made famous. Somewhere In Time represents the best in classic Art Bell shows. A multiple Emmy-winning investigative reporter and producer, Peter Greenberg is America’s most recognized, honored and respected front-line travel news journalist. Known in the industry as “The Travel Detective,” he is the travel editor for CBS News. Bill Cunningham is a nationally recognized radio and television host, veteran attorney, and business entrepreneur. With a radio career that spans more than 25 years, Bill has forged a reputation as someone who is not shy about expressing an opinion, or holding someone accountable.